The following are just some of the great attractions Waiuku and the wider Franklin area have on offer. For full details on each attraction, including opening hours and pricing, please contact the attraction directly or view their website. Located just below Castaways Resort. Enjoy a romantic stroll hand in hand along this expansive beach. Feel the warm black sand under your feet, admire the rugged coastline and the picturesque waterfalls that trickle down the cliffs. 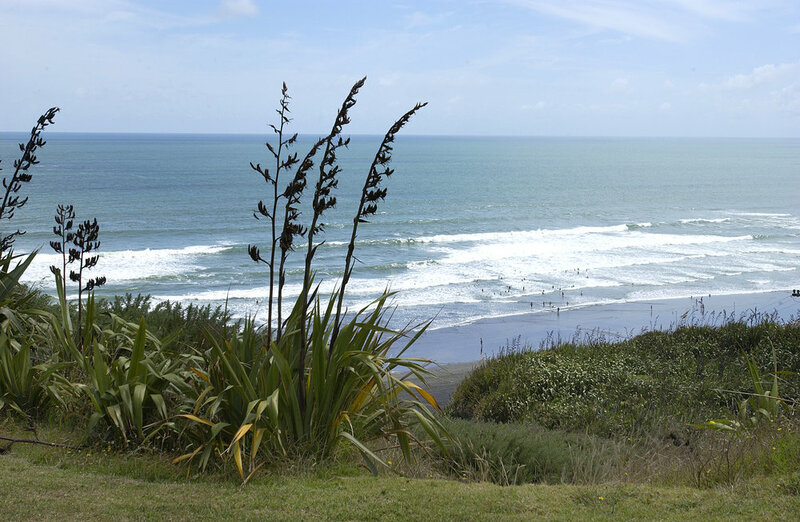 In summer weekends the beach is patrolled by the Karioitahi Surf Life Saving team. Stay safe and be sure to swim only between the flags. If the beach is not patrolled, go for a walk instead and save the swimming for another time. Take a drive up the Awhitu Peninsula and call in at Awhitu Wines for a leisurely boutique wine tasting in a picturesque setting. *Check their website for opening times. The Waiuku Golf course is an 18 hole course which rarely closes and is playable right throughout the winter (even in a golf cart!). Located just 7 minutes drive from Castaways Resort, the club boasts friendly members and a challenging course. Visitors are welcome. The Lighthouse was first built in 1874 and has been meticulously refurbished and rebuilt using pieces from the original building. It has been relocated to a new site beside the Manukau Heads Signal Station platform which has been on this site since 1865. View the turbulent waters and shifting shoals of the Manukau Heads, where the HMS Orpheus ran aground in 1863. Approximately 45 minutes drive from Castaways and open to the public at all times - free of charge although donations towards the upkeep are always appreciated. Wander freely over parkland pastures, explore the wetlands and enjoy the safe and sandy beaches. There are a number of walking tracks available to explore. For art and craft enthusiasts, the Pollok Art & Crafts Co-op is well worth a visit. Glassware, ceramics, jewellery, fabric art and a sculpture garden can all be found at this boutique gallery. *Check their website for opening times. 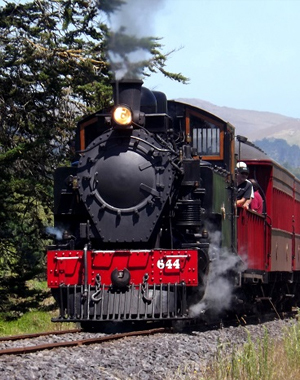 Hop aboard lovingly restored and maintained steam engines for a journey into yesteryear. Situated in the picturesque Franklin countryside (about 25 minutes drive from Castaways), the railway operates from Labour Weekend through to Queens Birthday Weekend on Sundays and most public holidays. Step back in time with a 12km return trip in vintage carriages behind a genuine steam locomotive. The kids will love the sights, sounds and smells of a real steam train. For opening hours and further details check out their website.